For most of the categories in the CultureMap Tastemaker Awards, we pick a winner of the year. Awarding Chef of the Year, Restaurant of the Year, etc. suggests that certain establishments and individuals have done a little more than their peers to stand out from the pack. 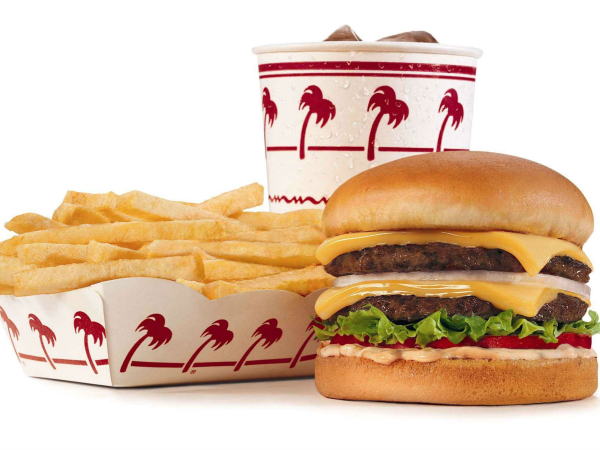 This category, however, is called Favorite Burger. The notion of a “burger of the year” is somewhat absurd; how could one burger stand out from its peers in any given year? Also, choosing the right burger for the right mood is so personal that “favorite” just feels like the more appropriate word. Besides, “best burger” would just lead to a lot of arguments in the comments section. We’ll get those anyway, because people just see the headline, skim the list, and rush off to pontificate about which obvious entry has been unjustly excluded. Fire away. Whose favorite? 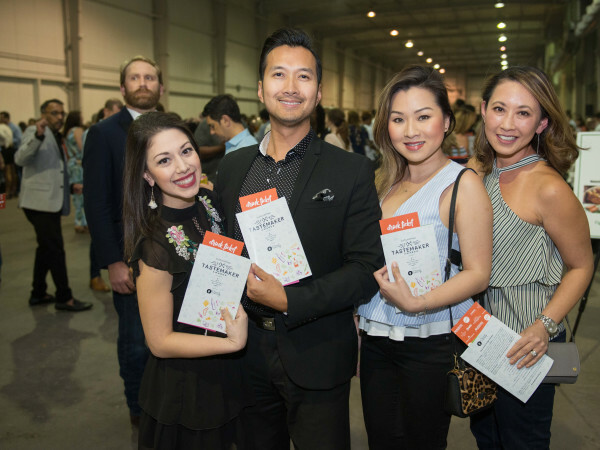 Our panel of judges made up of former Tastemaker Awards winners, of course. 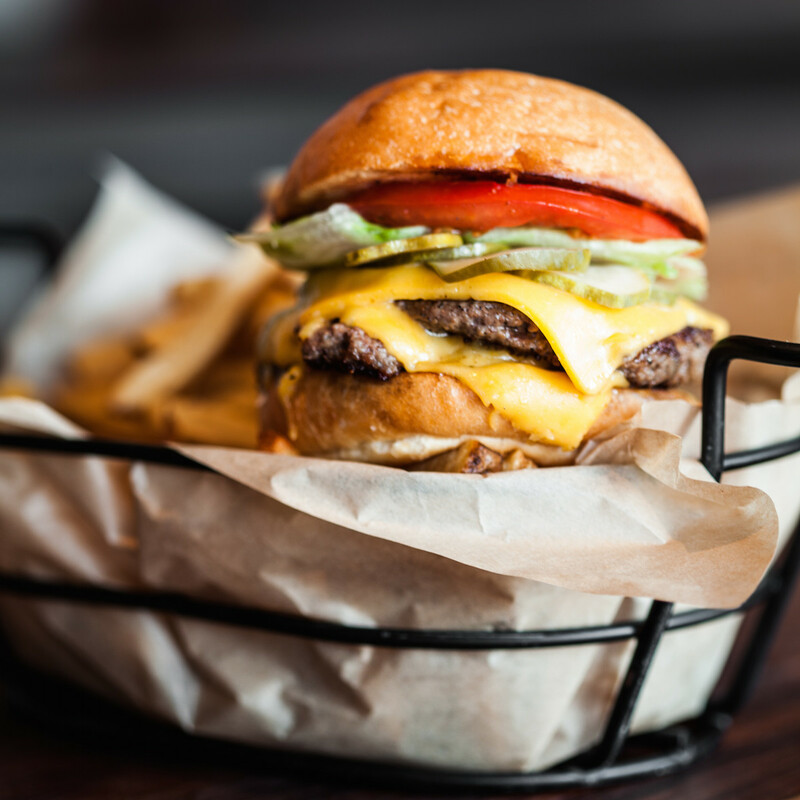 We think they eat enough burgers both to know where some of Houston’s best options can be found. Like most of the dishes on the menu at this casual sibling of B&B Butchers, this burger at B.B. Lemon takes its inspiration from the classic New York restaurant J.G. Melon. It’s a very pure experience — just a grilled, 80-20 wagyu beef patty with a coating of cheddar cheese on a toasted bun. Sliced onion and pickles add crunch and acidity, but it’s really all about the delicious alchemy of good beef and gooey cheese. From a bus serving burgers at Lizard’s Pub to four brick and mortar restaurants, there’s no stopping chef Justin Turner’s sophisticated burger concept. Bernie’s makes everything (except its buns) in house: all of its sauces, including ketchup, pickles, and its custom-blended beef patties. While the Detention, a double cheeseburger that uses grilled cheese sandwiches for buns, gets all the social media, no one can deny the simple pleasure of a classic Principal burger: the slow-roasted garlic tomatoes really tie the whole sandwich together. 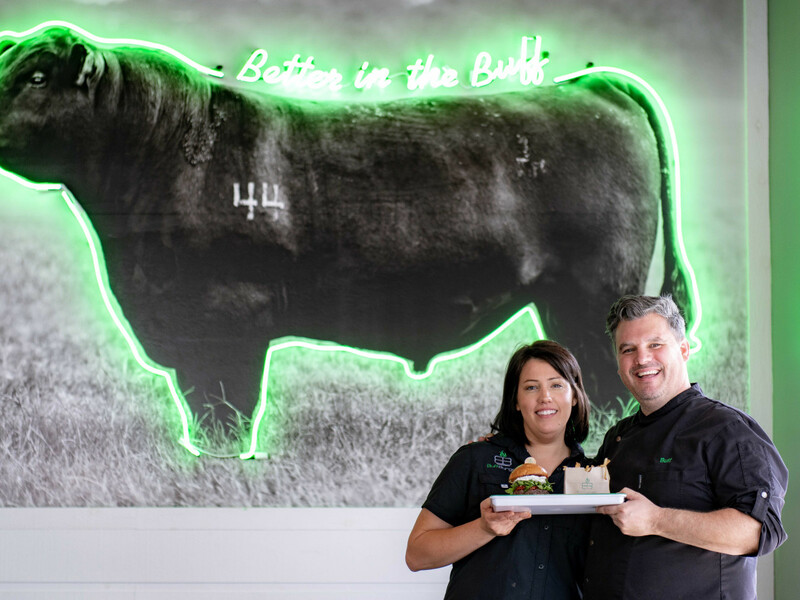 Husband-and-wife duo Sara and Paul “Buff” Burden have a straightforward ethos for their three restaurants. 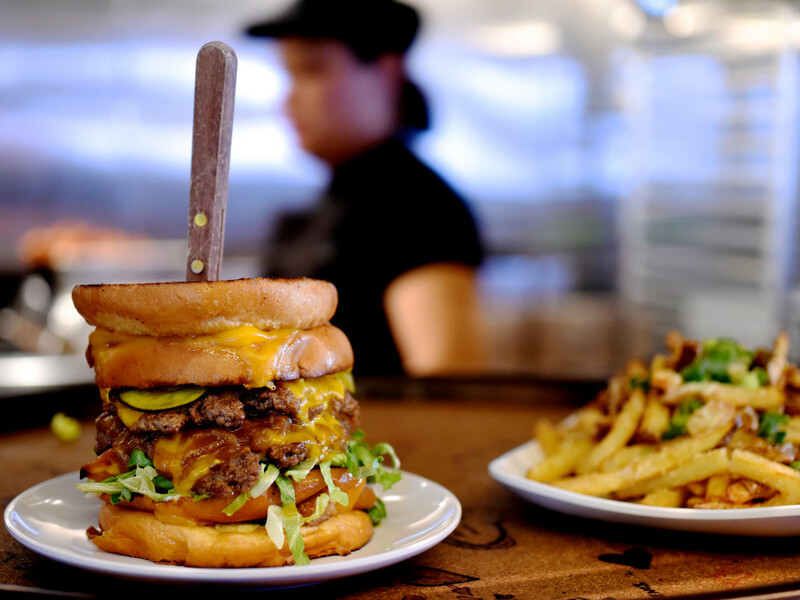 Start with great ingredients like 44 Farms beef and buns that are baked in-house. Then add thoughtful toppings like goat cheese from Pure Luck Farms, mango chutney, and espresso barbecue sauce. 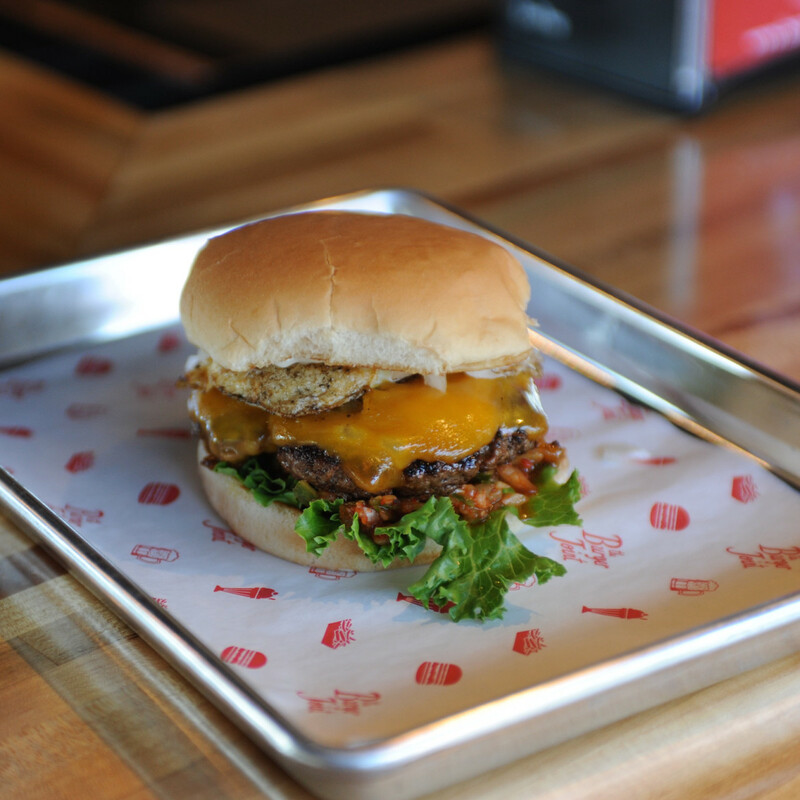 Sides like tater tots and non-beef options like a great fried chicken breast mean BuffBurger offers something for just about everyone. 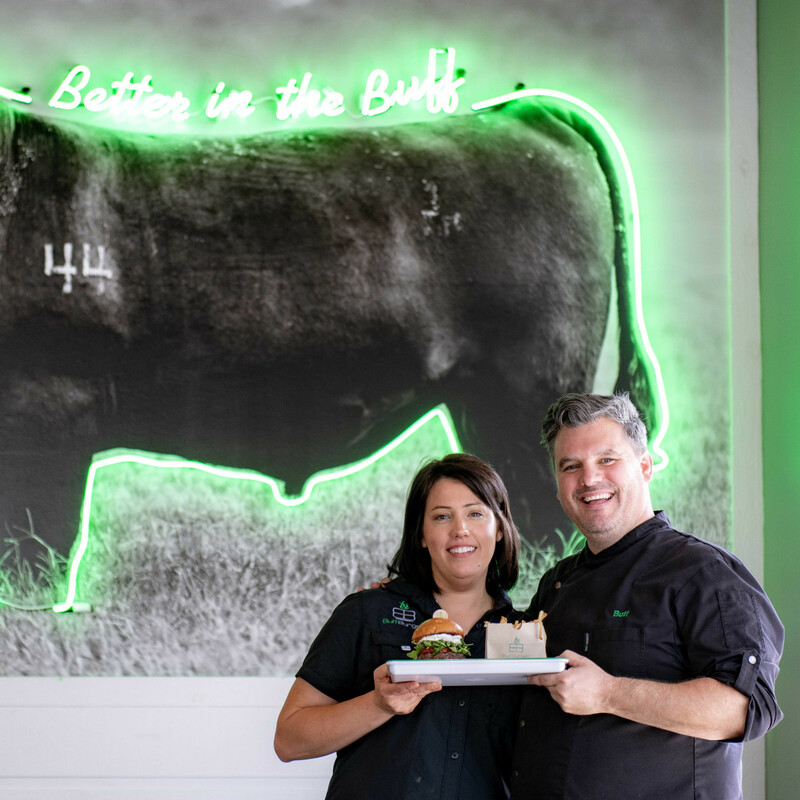 Speaking of husband-and-wife teams, Diane and Willet Feng have created something special at their Greenway Plaza burger joint. Willet’s fine dining pedigree — he worked at Oxheart for awhile — means that every detail has been precisely tweaked for maximum deliciousness. Thin patties that get cooked on a griddle to achieve crispy edges get served on slightly sweet Sheila Partin buns and topped with creative sauces like scallion aioli and sambal mayo. 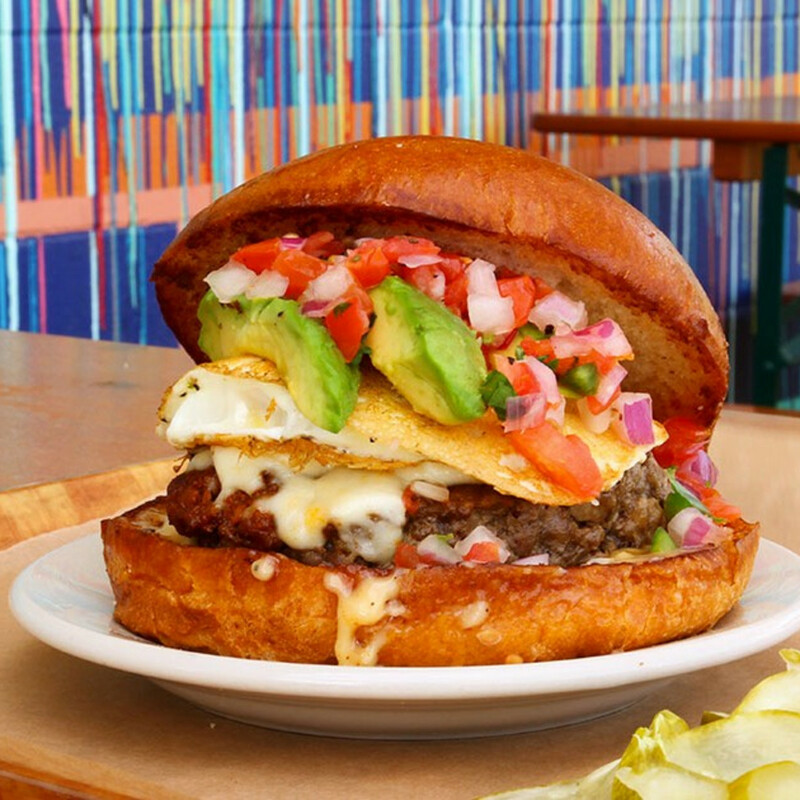 Of course, the restaurant’s real genius is that diners may combine different cheese, bun, and toppings options — even the number patties — to achieve their perfect combo. 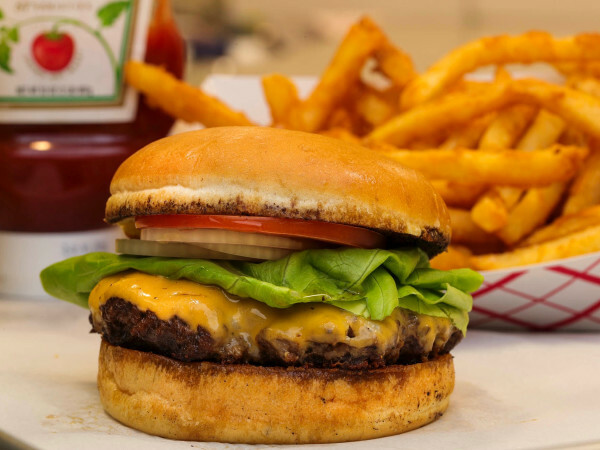 Although its name implies that it keeps things pretty classic, The Burger Joint isn’t afraid to mix things up a bit. Chef Matthew Pak’s food truck pedigree reveals itself in options like the kimchi burger (also topped with a fried egg and garlic mayo) or the BBQ, which ups the ante on a regular bacon cheeseburger with barbecue sauce and an onion ring. Even a classic cheeseburger is solid here thanks to the hefty, six-ounce patty that oozes in exactly the right way. Soon, the restaurant’s second location in the Heights will open, which will give even more Houstonians an opportunity to experience TBJ for themselves. 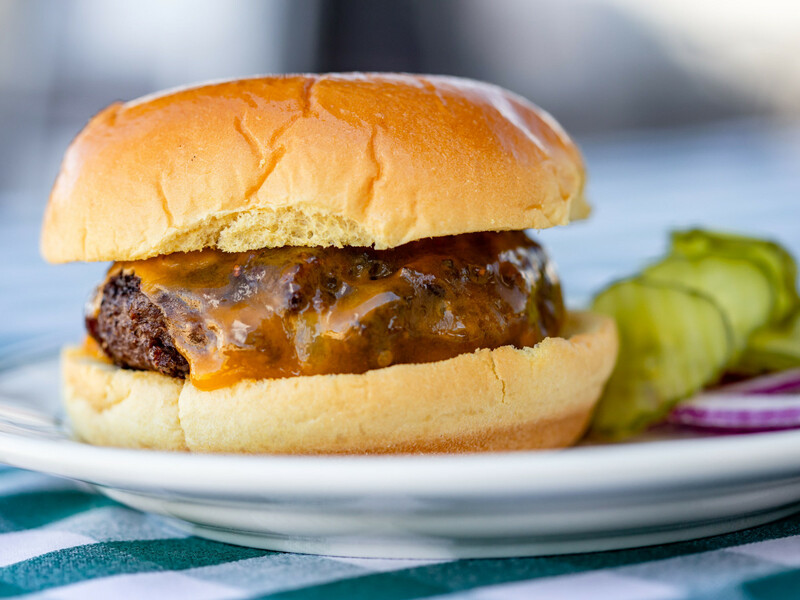 Chris Shepherd’s famous Cease and Desist burger utilizes a classic formula. 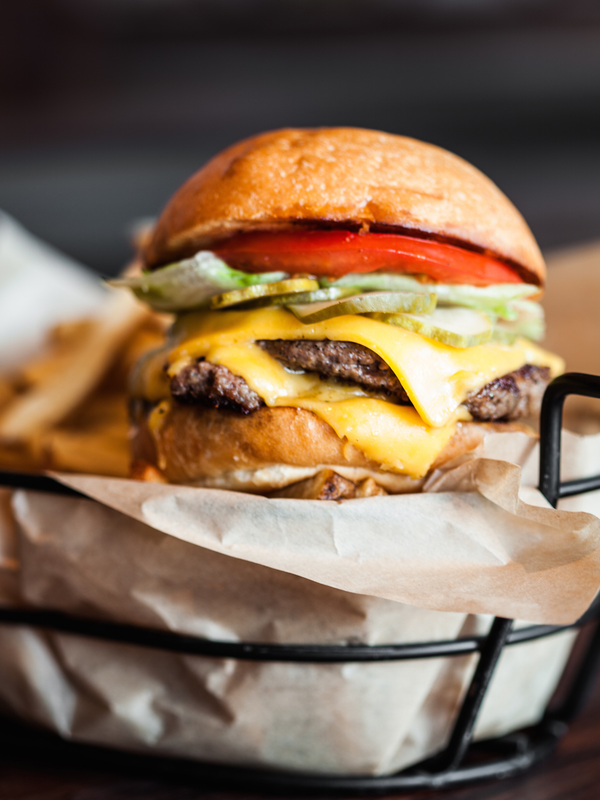 Two patties made with beef from 44 Farms, two slices of American cheese, pickles (housemade, natch), and lettuce provide a little crunch, and a slice of tomato provides a little sweetness. The secret is in the quality of the beef and the precise ratios of each component, which allows the whole to transcend the sum of its parts. 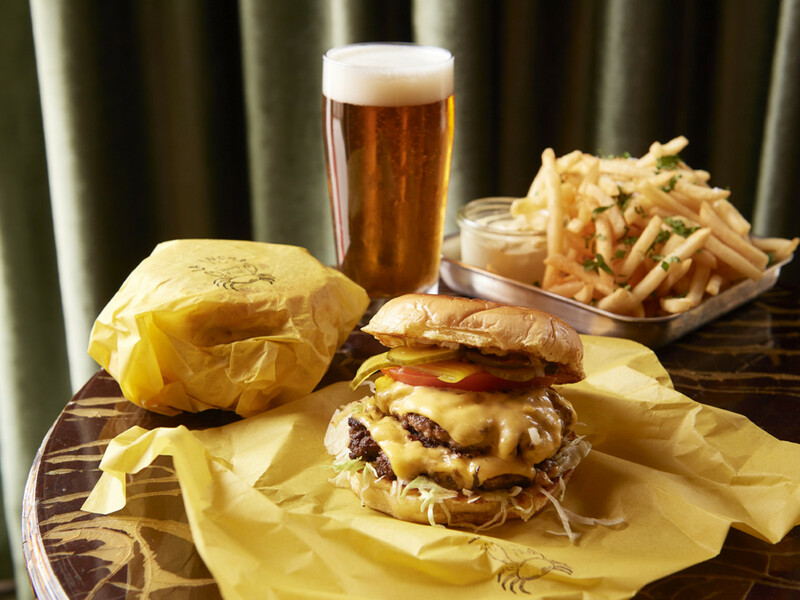 Some parts of the menu at this Heights restaurant take inspiration from legendary Texas restaurant the San Jacinto Inn, but Ford Fry looked a little closer to his River Oaks roots for the restaurant’s burger. 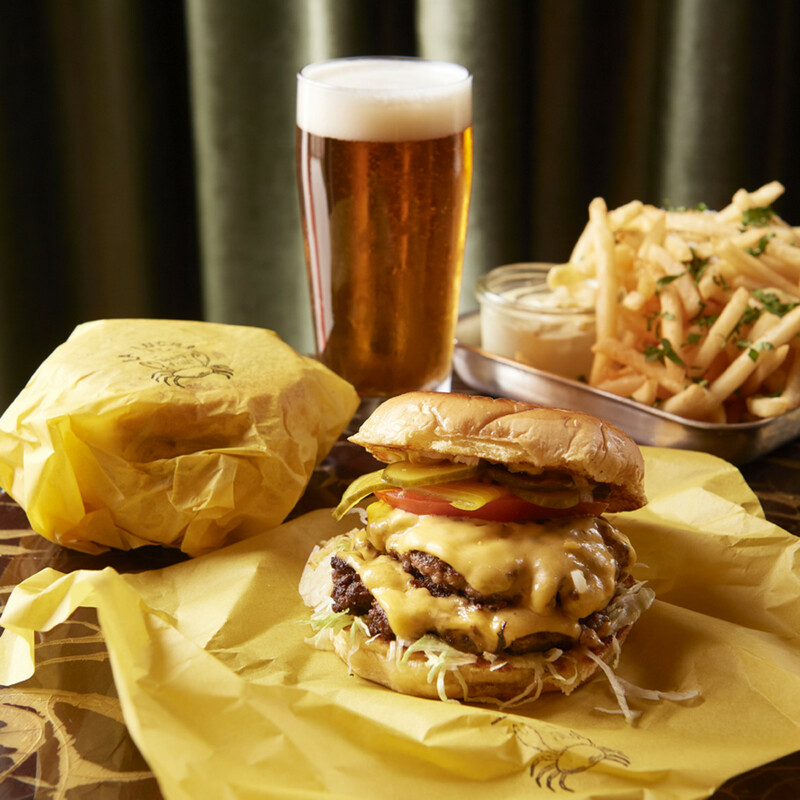 Named the Pharmacy burger after the Avalon Diner, the yellow paper wrapped around the burger also serves as a clue that Whataburger serves as a major inspiration. Greasy in a good way and dripping with beefy juices, this retro burger checks all the boxes. 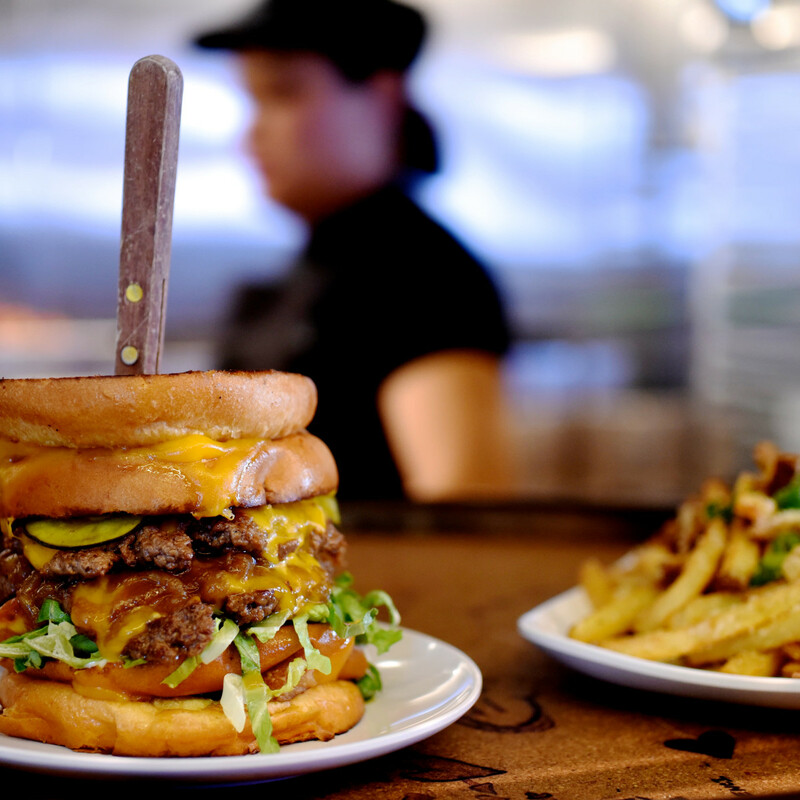 Houston has enough quality burger options that a restaurant from DFW wouldn’t seem to have much hope of breaking through, but Rodeo Goat has been luring diners to EaDo since it opened last year. 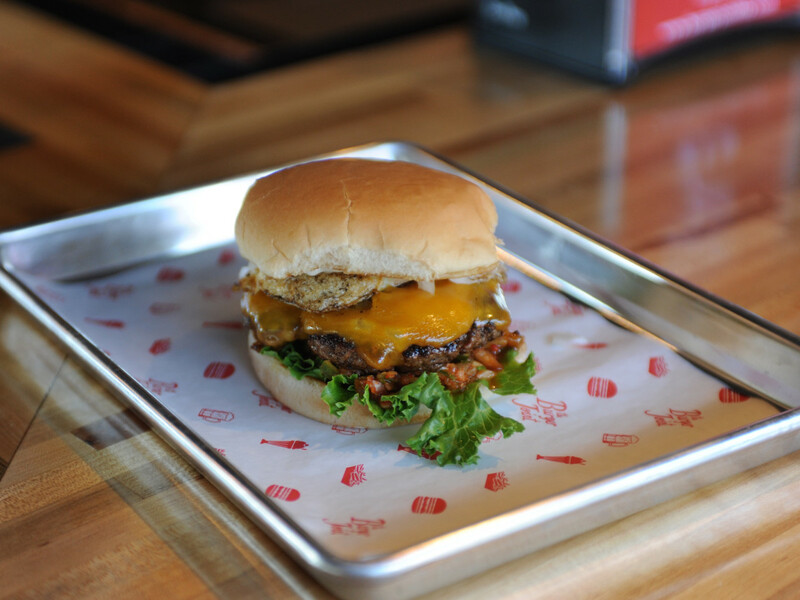 Credit goes to the creative toppings that enhance the patties made from high-quality beef from 44 Farms that are ground in house. Candied bacon, grilled peaches, caramelized onions, arugula, and jalapeno jam sound like they’d be a clash of flavors, but darn it if the Sugar Burger doesn’t nail its sweet and spicy combo. 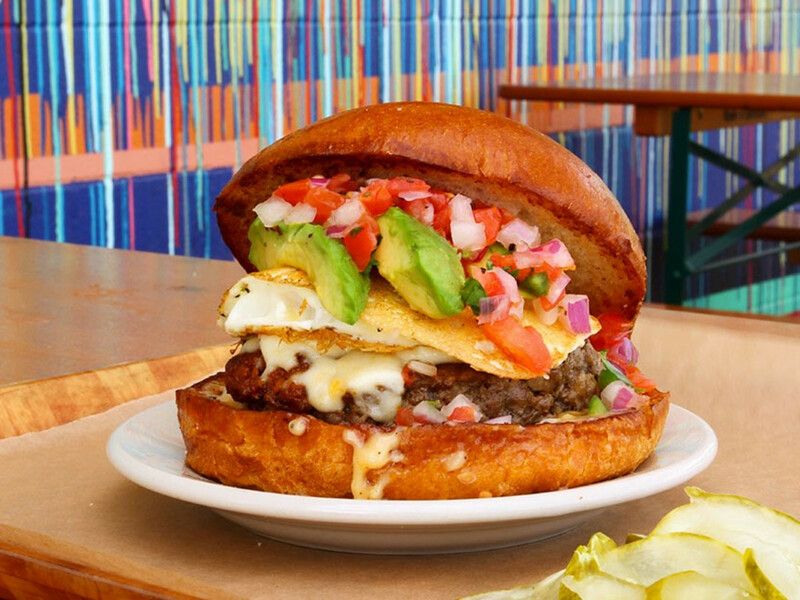 A beef and chorizo patty topped with avocado, pico de gallo, a fried egg, and more makes the Chaca Oaxaca one of the menu’s standout options. An extensive selection of craft beer — fitting for a sister concept to craft beer bar The Flying Sauce — an expansive patio, and good potato chips help round out the experience. 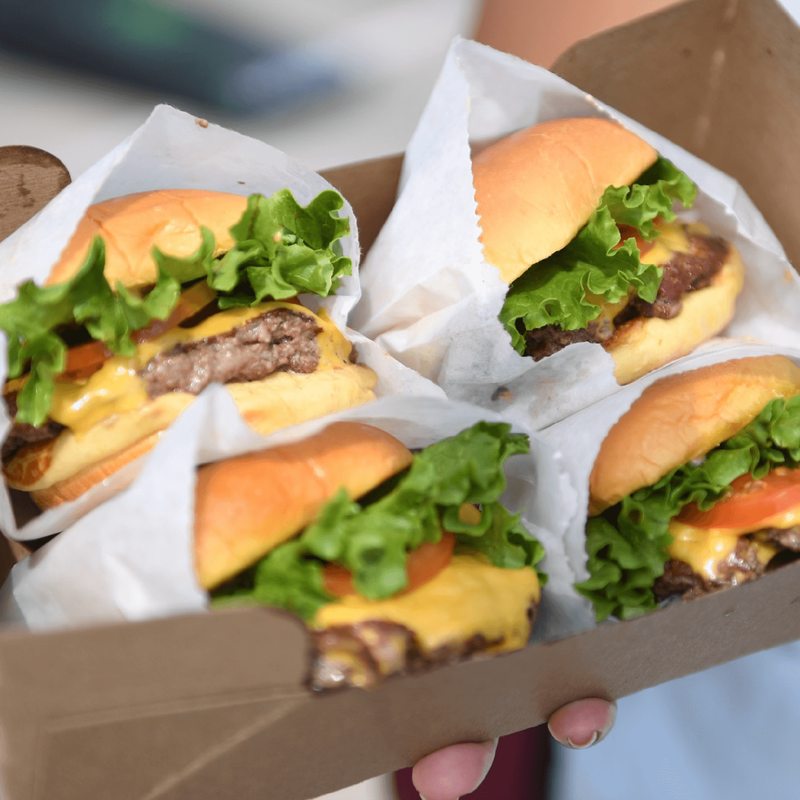 Haters gonna hate, but Shake Shack has become a global phenomenon for lots of good reason. 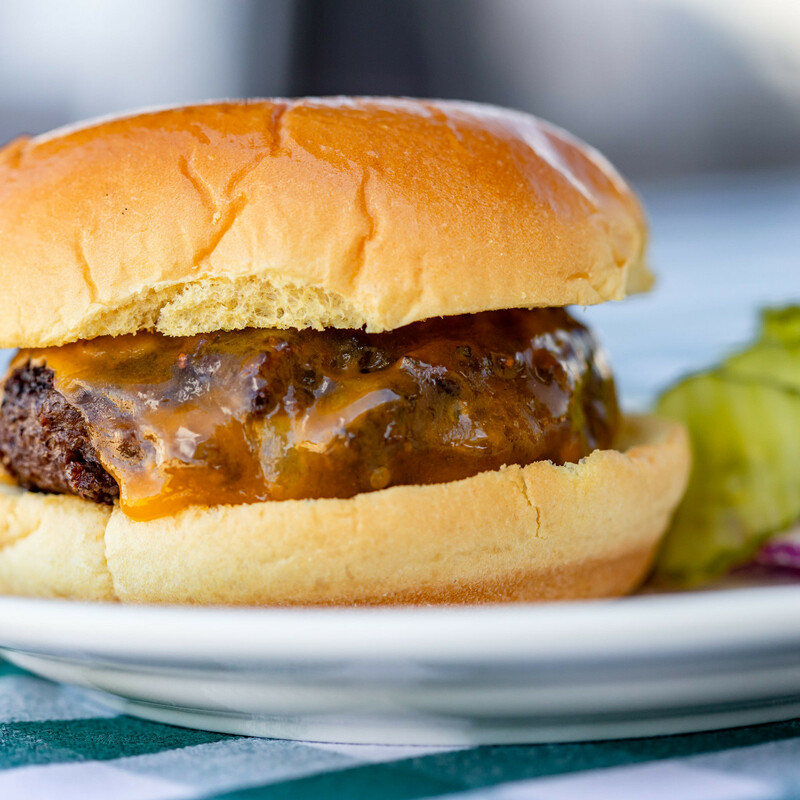 Inspired by classic roadside burgers, the basic combo of a squishy, slightly sweet potato bun with good beef (a custom mixture developed with legendary New York butcher Pat LaFrieda), American cheese, and ShackSauce (Thousand Island, more or less) proves essentially impossible to resist. 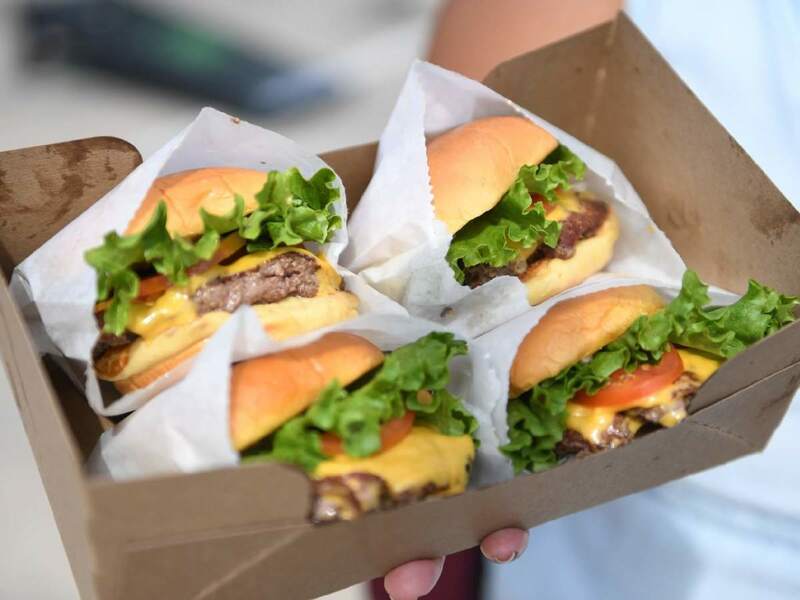 Best of all, they’re petite enough that eating one is more of a snack than a meal, making it the perfect way to satisfy an afternoon burger craving without spoiling one’s appetite for dinner.